It looks like basketball star Kevin Durant had good taste in choosing a Miami penthouse during his time in the city. The Oklahoma City Thunder player’s former pad at 900 Biscayne was just rented for $18,000 per month, again matching a record it set for downtown area leases 10 months ago. 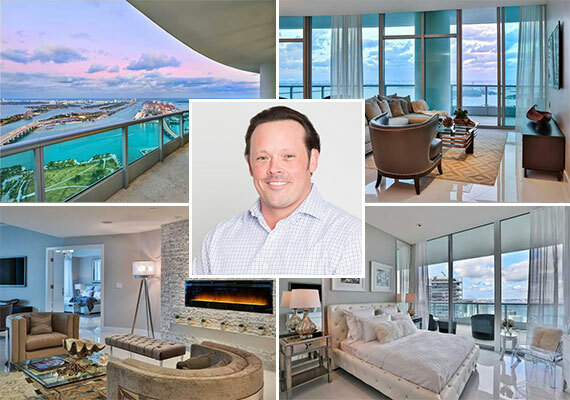 According to listing agent Michael Light of Miami Luxury Homes, a local businessman signed a year-long lease for the three-bedroom, four-bathroom unit last week. The lessee, whom Light declined to name, plans on staying in the unit for up to three years. At its $18,000 monthly price tag, unit 6307 is still downtown Miami’s most expensive condo rental, according to MLS data from the 33132 area code. The next-most expensive rental was a tie between another unit at 900 Biscayne, No. 6207, and penthouse 4403 at the 10 Museum Park condominium. Both fetched $17,500. Originally asking $20,000 per month, Light told The Real Deal that he showed the unit to a lot of interested parties but was repeatedly low-balled. “I would get these ridiculous offers like $14,000 or $15,000, and each would come up with some ridiculous explanation like the market is going bad,” he said. Light’s frustration ended when the above-mentioned renter, who was represented by Wilfredo Daniel of Avatar Real Estate Services, came to see the unit and signed a lease within one day after negotiating the price to $18,000. Kevin Durant first bought the penthouse for $1.83 million in 2011 and then put it up for sale in April 2015. After several months, listing agent Ben Moss of One Sotheby’s International Realty closed the deal at $3.15 million. Light represented the buyer for that deal as well. The unit is owned by a limited liability company named 900 Biscayne 6307. Corporate records show it’s managed by Mark Meland, a real estate attorney with Meland Russin & Budwick. The true owner is unknown.